The RDG is sponsored by the Richland Area Arts Council (RAAC). We encourage residents and visitors to the area to enjoy browsing at the Red Door Gallery and buying works from local artists. The gallery offers original art, fine crafts and unusual gifts. Inside you will find art works and gifts incorporating a wide variety of materials including wood, fiber, wire, oil, metal, photography, ink, beads, acrylic, watercolor, found objects and clay. Richland Area Arts Council (RAAC) promotes the visual arts to residents of and visitors to Richland County, Wisconsin and the surrounding area. Our Artists. Please take a look at our artists gallery. 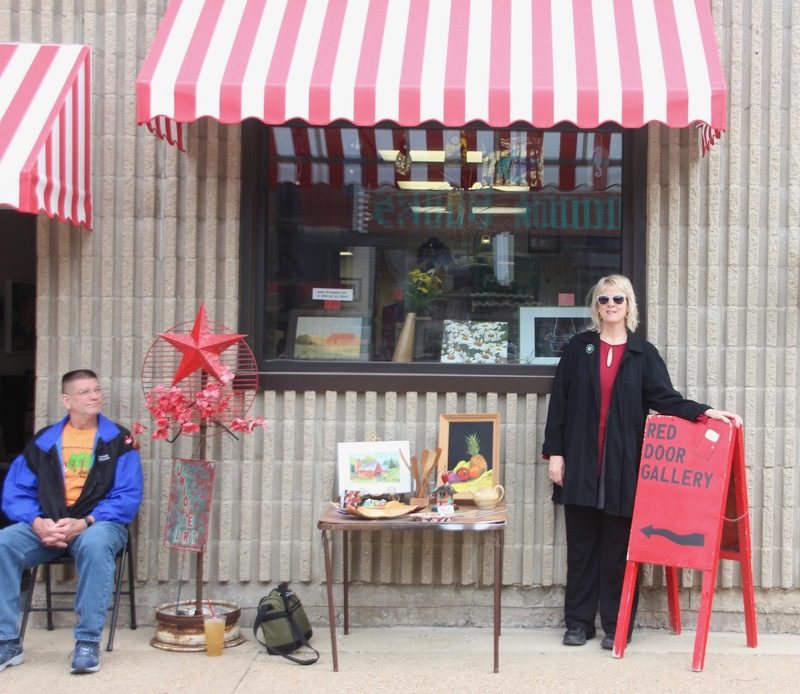 The organization behind the red door is the Richland Area Arts Council (RAAC), a non-profit organization of artists and supporters of the arts. It is a gallery in which area artists display and sell their work. The gallery offers original art, fine crafts and unusual gifts.